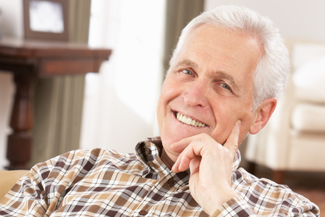 Is it possible to replace all of my teeth with dental implants in Milton Keynes? If you have been wearing dentures for a long time, then you know how inconvenient they can become over time. 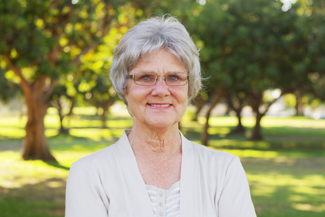 Conventional dentures simply sit on the gums and do not offer any direct benefits to the jawbone. Indeed, they can become pretty uncomfortable. Moreover, they require a lot of maintenance and tend to lose their fit over time. If all of your teeth are missing or they are in such a condition that they need to be replaced, why not get dental implants in Milton Keynes? At Northlight Dental, you can find many implant options, some of which are specially designed for patients who have lost all their teeth. Advances in dental technology allow dental implants to replace a full jaw with dental implants. And this procedure doesn’t have to cost a fortune. 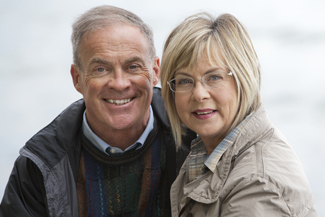 Dental implants provide several benefits over plain, removable dentures. In addition to looking, feeling and functioning just like your natural teeth, implant-supported dentures are designed to be robust and durable, especially since they will be covering your entire dental arch. They are also more comfortable than regular dentures because they attached to dental implants and do not become loose over time. As a matter of fact, you can regain up to 90% of your natural biting and chewing capacity with implant-supported dentures. In addition, dentures supported by dental implants in Milton Keynes protect your bone from deterioration. With conventional dentures, the bone continues to melt away since it is not properly stimulated. Dental implants, on the other hand, fuse to the jawbone, helping to keep it healthy. If you are tired of replacing your removable dentures every few years, then you should consider this innovative and inexpensive treatment. Implant-supported dentures will be created just for you and will be connected to the implants in your jawbone with a connecting device. Once you get used to your new teeth, you can feel confident smiling, eating and speaking. This entry was posted in Dental Implants on 23rd January, 2019 by Northlight Dental. If you have lost one, or multiple teeth, it can be quite a shock. Besides looking significantly different, a gap in the teeth affect your overall oral health. 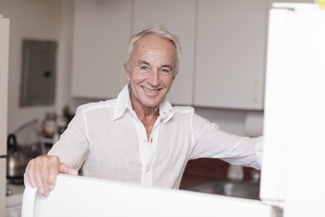 This is when it’s time to consider going for dental implants in Milton Keynes. Here at Northlight Dental, we can carefully examine the state of your teeth, and determine if dental implants in Milton Keynes are the solution for you. 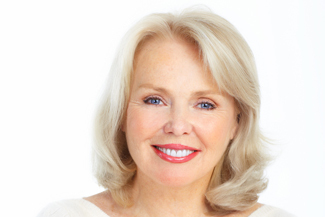 When to go for dental implants? Tooth loss is something most people generally want to avoid, but don’t think about it until it happens. It may due to lack of dental hygiene, causing build up of plaque and increasing risk of gum disease or dental decay which can lead to tooth loss. Or you may look after your teeth perfectly well, but find yourself on the unlucky receiving end of an accident that caused the tooth to be knocked out. Whatever the cause, you should contact us here at Northlight Dental as soon as possible so we can get you on track to restoring your smile. We will try and see you as promptly as possible. In the meantime, any pain experienced can usually be calmed with over-the-counter medication. 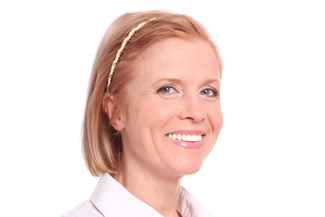 How do dental implants in Milton Keynes work? First things first, you must book an initial consultation to see if you are suited to treatment. Your treatment plan may depend on how you lost your teeth, the location of the tooth, the number of teeth missing, the amount of damage, and your personal preferences. Most people are suited to treatment if they are in good oral health. We will take an x-ray of the jaw to ensure that there is enough bone to support the implant, as this is an integral part of the procedure. Once you have got the green light for treatment, and the plans are in place, the next stage is the surgery. This involves making a small hole into the jaw bone into which the implant is gently inserted. It is not as scary as it sounds and is done after giving the patient a local anesthetic to help numb the pain. It usually takes around three months for the implant fuse with the bone. Finally, the crown is placed onto the implant. This entry was posted in Dental Implants on 17th October, 2018 by Northlight Dental. Yes, losing a tooth can be a nasty experience. The immediate problem is that you lose proper function of your mouth. Chewing your food is more difficult. Talking sounds weird too, especially if you’ve lost one of the front teeth. What’s more, smiling with a big gap in your teeth can feel embarrassing. You feel self-conscious about your smile, because let’s face it, it doesn’t look good. The next issue is that missing teeth can have serious implications for your long-term oral health. Leave that missing tooth untreated and you could end up losing more teeth around it. At the very least, the surrounding teeth will start to slide towards the gap left behind by your lost tooth. Dental implants in Milton Keynes can prevent long-term oral health issues that come along with missing teeth. Here’s another problem that can come up with missing teeth. Did you know that they can cause jawbone shrinkage? Your jawbone receives vibrations from your teeth when you chew. Your teeth and jawbone need to be stimulated by chewing in order to stay healthy. When you lose a tooth, your jawbone stops getting vibrations from a tooth in that area. Without this vibrational stimulation, your jawbone thinks it’s not needed anymore. It begins to resorb back into your body where the nutrients can be better used elsewhere. This leaves your jawbone weak and shrunken, it’s what can lead to surrounding teeth becoming loose and eventually falling out if not treated. Luckily, dental implants in Milton Keynes can prevent your jawbone from becoming weak and shrinking by sending these much-needed vibrations to your jawbone when you chew. Here at Northlight Dental, we help our patients to prevent problems that come along with missing teeth by fitting dental implants in Milton Keynes. Dental implants are small titanium replacement tooth roots that are fitted directly into your jawbone. We fit natural-looking crowns on top of them. Once in place they work much like normal teeth. Other people will not be able to tell that you’ve got a dental implant in your mouth. This entry was posted in Dental Implants on 26th September, 2018 by Northlight Dental. It’s not just the elderly who lose teeth. Teeth can get knocked out in an accident, while playing sport or fall out as the result of ill health or medication. Young people can also fall prey to the pains of missing teeth. and maybe you don’t feel so great about yourself, seeing the empty space in your smile in the bathroom mirror. 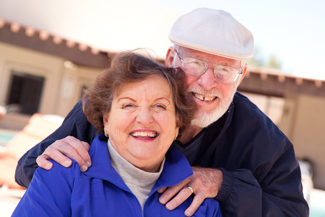 dentures can affect speech, become loose and have to be taken out to clean. They also restrict food choices, because they only give about 25% of the chewing power of a natural tooth. Plus, keeping your teeth by the side of your bed at night can make you feel old before your time. Fortunately, there is a way to replace missing teeth that overcomes all these issues: dental implants in Milton Keynes. 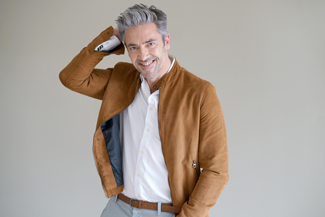 Because dental implants in Milton Keynes replace the root as well as the crown, the jawbone rebuilds itself around the implant, restoring its density and structure. Neighbouring teeth aren’t affected by implants, and speech and chewing power are also restored to natural levels. The balance of your bite is back, and you’ll have a smile you can feel proud of again. Find out more here at Northlight Dental. This entry was posted in Dental Implants on 12th September, 2018 by Northlight Dental.